Although we are all familiar with the terms Old Testament and New Testament, there is a disadvantage in approaching the Bible in this way because it highlights the differences between the Testaments. There are many significant differences but the unity of the Bible is much more important than the differences. We must never forget that although we refer to two Testaments, we have one Bible that shows a remarkable continuity of theme and purpose. The Old Testament is incomplete since it requires the New Testament to fully develop its themes and show the ultimate goal and meaning of the laws, prophecy and poetry. It is in the New Testament story of the life, ministry, death, resurrection and second coming of Jesus Christ that the Old Testament finds its denouement and reaches its goal. When we think of Old Testament books that are particularly significant for the New Testament, books such as Isaiah spring readily to mind. However, although the story of Ruth might seem a rather insignificant book, it is in the light of the New Testament that we realise that this short account of the lives of ancient Israelites and their encounter with a Moabite girl, is indeed a rich source of theological instruction. Firstly, the story itself reveals God’s sovereignty and reveals that he is at work even when people are not even aware of his presence. Naomi suffered bereavement and poverty and it is not surprising that she did not realise that God was with her and working out his plan through her. This theme culminates in the cross when the followers of Jesus were devastated and no one seemed to realise that God was working out his plans by allowing the crucifixion of the Messiah. Thus the message of the book of Ruth is that when it, at times, appears that God is doing nothing, he is doing his greatest works. This applied to Naomi and it also applied to Calvary. The book of Ruth points forward to the New Testament in another way - through its terminology. 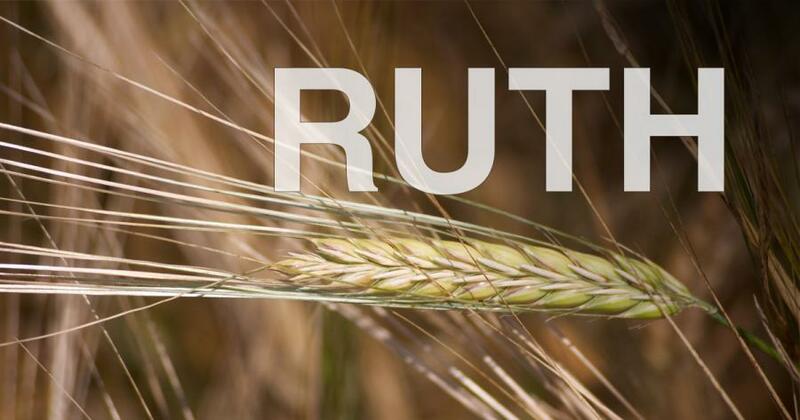 Key words used in the story of Ruth are later developed to convey theological truth. In this article we consider the theme of redemption. The Hebrew root for the concept of redemption occurs 23 times in the short book of Ruth. This repetition leaves the reader in no doubt that redemption is one of the main themes of the book of the book of Ruth. The first occurrence of the theme of redemption is strategically located at a turning point in the book where Ruth returns from gleaning in the field and explains to Naomi that she has been in the field of Boaz. This information evoked surprise and hope from the older woman and she explained that this man was one of their redeemers (2:20). The context for the next mention of the concept of redemption is at another turning point in the book when Ruth surprised Boaz during the night at the threshing floor. During this nocturnal conversation, redemption was the main topic. In these four verses, the Hebrew root related to redemption occurs seven times (3:9-13). Furthermore, the subject of redemption introduces tension into the narrative as Boaz revealed that he was not the only redeemer and someone else needed to be given the opportunity before he could do anything. Most references to redemption in the book of Ruth are found in the conversation between Boaz and the unknown redeemer. The encounter between the two men in chapter 4 is immersed in redemption terminology (verses 1, 3, 4, 6, 7 and 8). The final reference to redemption is in the speech of the women of Bethlehem who declare that God has not left Naomi without a redeemer (4:14). The concept of redemption related to laws about land ownership designed to protect people’s land from the grasp of those who would seek to accumulate property at the expense of others. These laws prevented unscrupulous land owners from buying up large areas of land during famine and drought when the land was cheap. According to Leviticus, when poor people were forced through circumstances to sell their land, they had the right to purchase it again when the means became available. However, if the poor person could not afford to buy back their land, their next of kin could do this for them and this person was known as a redeemer. A redeemer was a person who paid a price on behalf of someone who could not afford to pay this for themselves, (Lev. 25:23-31). ‘I have blotted out your transgressions like a cloud and your sins like mist; return to me, for I have redeemed you. Sing, O heavens, for the LORD has done it; shout, O depths of the earth; break forth into singing, O mountains, O forest, and every tree in it! For the LORD has redeemed Jacob, and will be glorified in Israel ‘- (Is. 44:22-23, ESV). Particularly significant is how this theme is developed in the New Testament where the work of Jesus Christ is described as redemption. In the book of Ruth it is clearly emphasised that redemption involved cost and the unknown redeemer did not act because he considered that the cost and risk involved were too high. In the New Testament Christ is the redeemer who paid the highest possible price to redeem people from the tyranny of the law and from slavery to sin (1 Peter 1:19). Thus the story of Boaz’s selfless acts as a redeemer provides a useful framework for understanding the New Testament use of this important concept. In the Old Testament the purpose of redemption was to rescue those who were oppressed or impoverished and it could only be carried out by a close relative who could afford to pay the price. Understood in this way, the work of Christ as redeemer liberated those who were enslaved to sin and under its penalty. Christ paid the price of self-sacrifice in order to liberate people and to bring them into his family. When we trace themes such as redemption from their beginnings in the Old Testament to their development in the New Testament, it helps to remind us that the overall message of the entire Bible is about the love of God who sent his son to redeem fallen humanity. As Peter pointed out, our redemption required a price to be paid but silver and gold were inadequate and the price was paid by ‘the precious blood of Christ, like that of a lamb without blemish or spot’ - (1 Peter 1:18-19). Bio: James was Vice Principal of Belfast Bible College for over 20 years. His special interests include the Hebrew language and its significance for the study of the Old Testament. This interest has involved many trips to Israel, including study visits to the University College, Jerusalem and the University of Haifa. He has written a commentary on Genesis in ‘The Two Horizons Old Testament Series’ published by Eerdmans. James left the Bible College in 2009 to spend more time preaching, teaching and writing.